Ever since I was a kid I have loved the great outdoors, as a youngster the annual holiday was usually a camping trip to the New Forest or the Isle of Purbeck. In recent years I have had a yearning for doing something interesting. 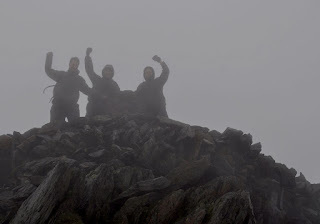 I have climbed Mount Snowdon twice in recent years, both climbs turned out to be very different, I first climbed to the top of Mount Snowdon with Chris and Clint on the 5th November 2009, it was cloudy, it rained most of the day, it became very windy and freezing cold during our ascent and towards the top the cloud became so thick it was tough to see the path ahead of us, this made it VERY memorable and a real adventure. 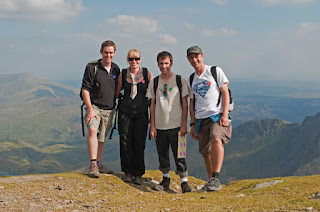 The next time I climbed Snowdon was in September 2010, this seemed like it was a totally different mountain, I was joined by Chris, Amy and Nathan. The weather was hot, sunny, beautiful blue skies with the odd fluffy cloud to add some interest and the views were spectacular, The weather actually made it harder to climb as we kept having to stop for drink breaks and rests, also you must stop and take in the views once in a while so the climb took us a lot longer this time, it was an amazing climb. So for some time I have had the idea of visiting the highest point of every county in England (and maybe even Wales and Scotland eventually). Some of the places I would need to visit would be rather difficult to get to, for instance some are on private land, because of this my plan is to get as close as possible to the highest point. Other places will be very easy, the highest point of the City of London is High Holborn, a very grizzly 100 meter walk from Holburn Tube station, I will however try to make the easy trips more interesting somehow. The visits will develop with time, I will find new places to climb, If I stick with English counties there will be 48 in total, however if I add in all the other city boroughs (for instance Portsmouth and Southampton are both separate from Hampshire) then the list goes up to 121, add in Wales and it goes up to 140. So here it is, the photos and the stories of my visits to the highest points of every county in England (and maybe more).